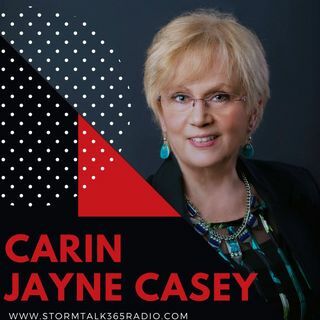 In “Turn to God with Carin,” Carin Jayne Casey speaks on God’s desire for success in our lives, not failure. Casey notes what she gleens from her Pastor Jonathan Stells recent sermon at the House of Prayer in Chesterfield, Virginia: God has put creativity inside each of us, and by turning to God, his word, miracles can happen. Casey spoke about successful television hero’s because they always beat the enemy in creative ways, saving others from harm. A hero had his ‘survival kit’ ready, as Jesus did in the wilderness- The Whole Armor of God (Eph. 6). Thomas Edison’s productive attitude toward the invention of the electric light bulb highlighted faith, perseverance and confidence: he viewed the many times it didn’t work as progress, not failure, bringing him closer to his goal. Casey prayed the “Sinner’s Prayer,” and encouraged listeners that with God’s purpose, calling in your life, you can do amazing things. When you're heartbroken,know that you can turn to God: whatever happens in life - you can always turn to God, the king of the Universe and your salvation. Coming Soon- April 2017! Podcast, "Abundant Living wth Carin"
Coming Soon 2017! "The Redemption of Rosa Jean"